The new parents take a much-needed romantic vacay. 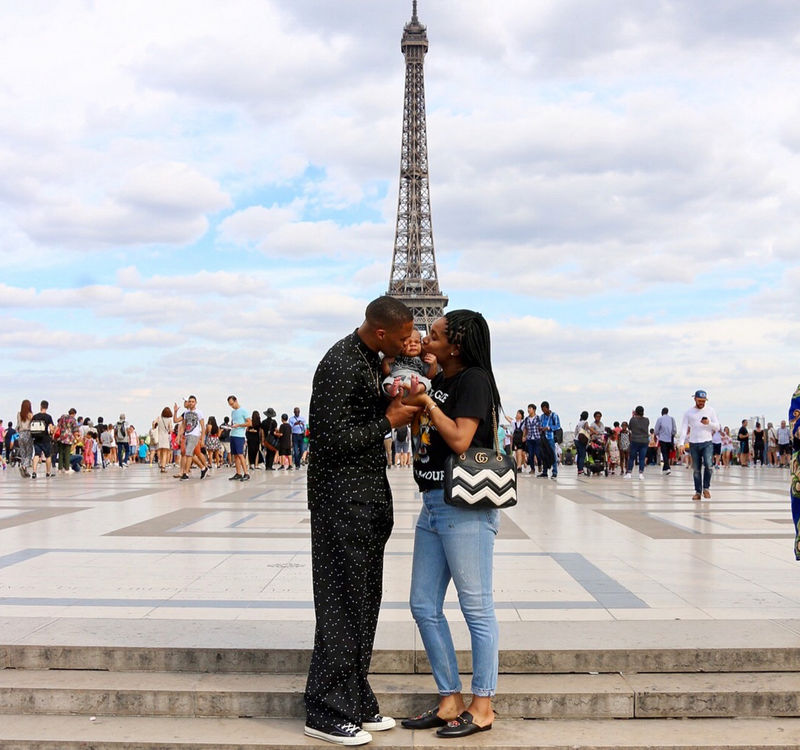 New parents Russell and Nina Westbrook are on a much-needed vacation in Paris. The NBA star and his wife took their first international trip together since becoming parents and it’s a good one. The couple took in Paris Fashion Week and all the sights and sounds of the City of Love with their newborn son Noah in tow. The Westbrooks posed for a family portrait in front of the famous Eiffel Tower. Even though it was a family vacation, mommy and daddy had a little fun on their own too, including enjoying a double date night with Atlanta Hawks player Thabo Sefolosha and his wife Bertile. The couples became friends when Thabo played for the Oklahoma City Thunder. The Westbrooks and Sefoloshas trekked around Paris enjoying some of the city’s hot spots. They later met up and attended a GQ party with their husbands in tow. “Our new tradition is getting together during pfw! It’s always great hanging with this beauty! And Thabo too!,” shared Nina. Russell and Nina welcomed their son on May 16, 2017.